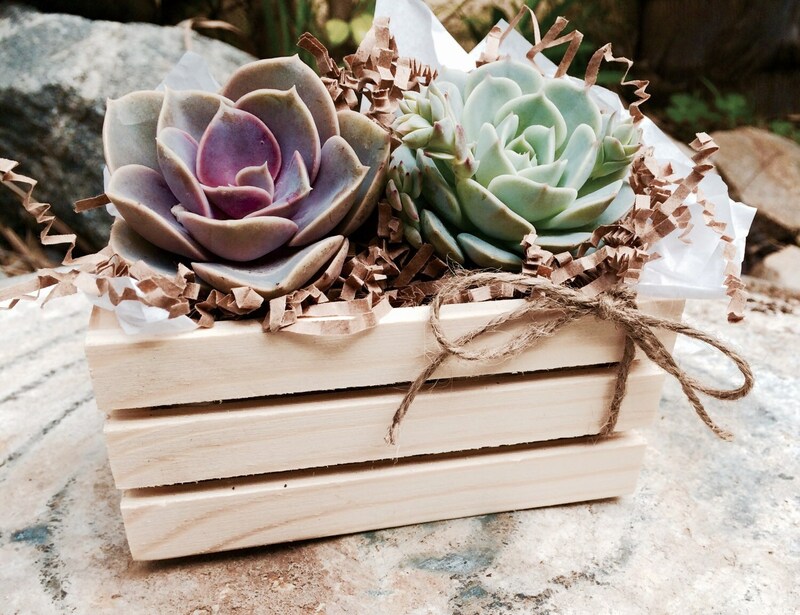 Succulent Treasures Mini Natural Wood Crate. Premium 2.5" succulents gift. 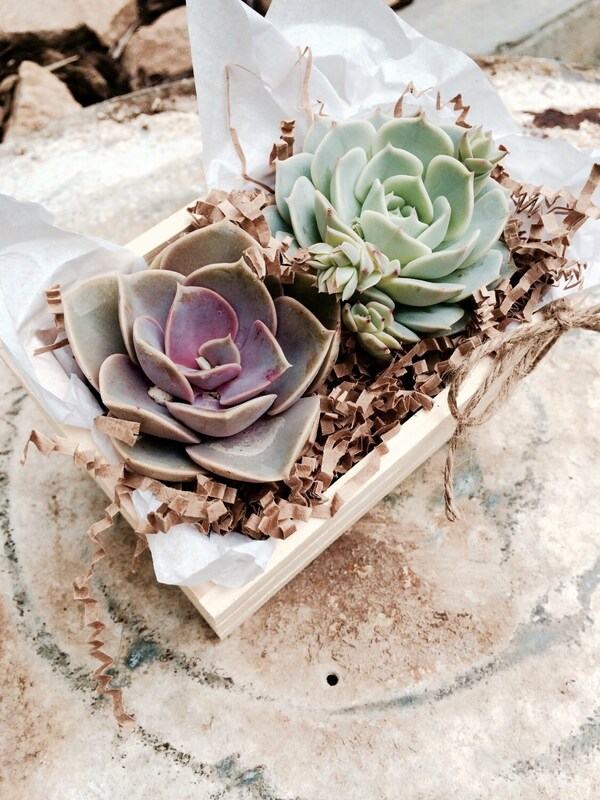 Each crate includes 2 top quality 2.5" succulents. Each crate is tied with a ribbon and comes with a customizable gift tag.